The classic and evergreen Indian Salwar Kameez, that can be as simple as a straight cut suit that you can wear to work or an intricately embellished Anarkali that is apt for a royal wedding. Available in a plethora of designs and combinations to suit your mood and to fit your requirement, salwar suits are your all weather friend for the perfectly traditional Indian look. One of the most common outfits in Central and Southern Asia, The Salwar Kameez is a beautifully crafted and designed women’s wear, which brings out the delicate beauty of women. The Salwar Kameez consists of a long shirt or tunic called the Kameez, worn over a pant like clothing, called a Salwar, also spelled as Shalwar. The whole ensemble along with a long scarf like over-wear, called the dupatta, is known as Salwar Kameez. The Salwar Suits is speculated to be originated from the Mughal attires. It was originally the traditional dress for Punjabi women, but gained popularity all around the nation after our Independence. The Salwar Kameez is held in high regards all around the nation as it is has also been adopted as the uniform for girls across many Indian schools. Salwar Kameez, nowadays are considered to be a traditional alternative to other conventional dresses, as it provides more comfort in moving about and around without losing that traditional gracefulness that we Indians love so much. Salwar Kameez created with different and unconventional fabrics such as Chiffon, Net, and Georgette, provides a much appreciated modern vibe to an otherwise traditional look and adds a very chic and modern vibe to your Salwar Kameez. Check out our collection of beautiful, designer Salwar Kameez on KalkiFashion.com and grab yourself an amazing Salwar Kameez. Wearing a Salwar Kameez is easy as pie! Just put on the Salwar or churidar first and then put on the Kameez. Pair your attire with a matching dupatta and you’re all set to rack the Salwar Kameez. These versatile and evergreen outfit can be worn practically everywhere, from cultural gathering to corporate offices. The charm and beauty of Salwar Kameez is never-fading. With the advancement of e-commerce and online shopping sites, shopping for Indian Salwar Kameez online has become a lot easier. Nowadays you don’t even have to painstakingly make rounds at your local stores and shops to find your dream Salwar Kameez. 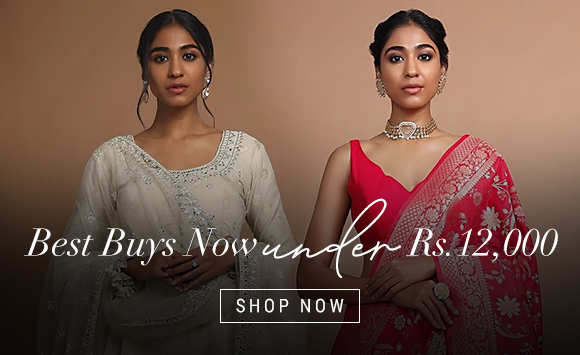 Just sit back at the comfort of your home and browse through our fashionable and highly curated collection of Indian Salwar Kameez in all their glory and variety, only on Kalki. Buying Salwar Kameez online has never been easier and safer! And the best part is that, you don’t even have to worry about size issues with Salwar Kameez as their versatility allows them to be the worn by any lady, regardless of their body shape and size. So don’t wait any longer and check out our latest and fashionable collection of designer Indian Salwar Kameez at Kalki. You can find every kind of Salwar Kameez here, from plain white and gold Salwar Kameez to exclusive designer Salwar Kameez. At KalkiFashion we strive to present and represent the rich and gorgeous culture of our nation’s ethnic wear. Shop for Indian Salwar Kameez online, in a plethora of designs and fabrics only at KalkiFashion.com. Salwar kameez is probably the unofficial national attire for women in India that has a huge fan following among all girls, second only to the “Saree” which is considered to be the actual Indian attire for women. The variation in designs exists in the form of subtle deviations in style and fabric that brings about a traditional as well as a contemporary look to the humble salwar kameez which has transformed over the years. Of late, gold printed polka dots, Zari work and gold border which is inspired by traditional South Indian style are now increasingly incorporated in salwar kameez design in the present time. The exceptional Sequin and embroidery work truly characterizes a salwar kameez and brings about a gorgeous appeal for this classic Indian attire which is considered the ‘bread and butter’ wear here in the sub-continent among school and college going girls, working ladies, housewives and executives who love to dress in a casual way and at the same time look stylish. Indian salwar kameez are worn by girls in festivities, weddings, parties and in various other occasions as they are simply eye-catching because of the brilliant prints as well as due to the beautiful sequin and lacing work done on them. When it happens to be a brandname like ‘Kalki Fashion’, it is like an icing on the cake as we bring for you some stunning designs in the form of best quality fabric material. You will hardly find anything similar on the racks of any other fashion clothing store for women in India that sells ethnic wear for women. Our unique style has made Kalki Fashion.com, the leading fashion clothing store that sells Indian salwar kameez online in eye-catching designs. It is Salwar suits that are worn by a majority of Indian girls and working women at office, as it is probably the most comfortable attire for simple reasons. It is basically worn with a beautifully designed and color matching “dupatta" that complements the style. The dupatta can be used in a variety of ways, such as to wrap oneself or to cover one's head or simply drape it over the shoulders. Similarly, for others, the dupatta is essentially an accessory that can be worn more hung around the chest for an elegant appeal. When you view the extensive collection of salwar kameez that Kalki Fashion has brought for you, it is bound to create a ‘wow’ appeal. What makes salwar kameez so versatile? The humble salwar kameez have gained huge popularity because of its versatile nature and elegant style which can be viewed at our exclusive Kalki Fashion store in Mumbai. It is as attractive as an elegant saree and it can be worn in special occasions like a wedding or a private party. The fabric material, the prints, the rich colour, the embroidery and Sequin work etc. all adds up to the elegance of one such dress material that is brought to you by one of the leading fashion clothing brand in India and that is “Kalki Fashion”. The Patiala salwar suit is another offshoot or variation of the salwar kameez that oozes out a robust look for girls who are well built and have some great vital statistics. The "Patiala Salwar" has a similarity with the "Pathan" Suit that is worn by men which has a comparative free lower part that makes it look very ‘free-flowing’ and stylish. Similarly, the Anarkali suit is another attire for girls that is basically worn at weddings and in parties which is very traditional in looks and classic in appeal. Kalki Fashion is a one stop fashion store for women that brings for your some splendid designer outfits for all you beautiful divas who want to look even more stylish and stunning in a traditional Indian dress. Our designer outfits have a touch of simplicity yet elegance and class written all over it to produce that stunning appeal that is desired by all. A stylish designer salwar kameez online can now be bought online from Kalki Fashion which provides you an array of choice. We are not just limited to salwar kameez but deal in Anarkali suits, unstitched salwar kameez, palazzo suits which are all unique in style and has a class of its own. Our deft fashion designers strive to offer you the finest quality outfits that made to wear for every occasion. 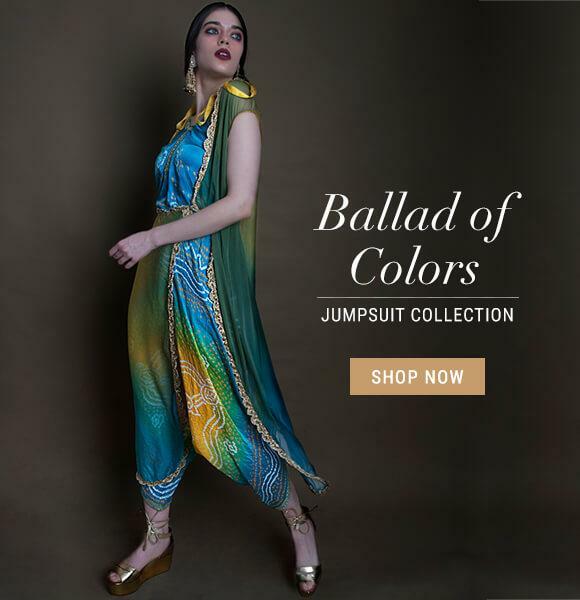 If you are thinking to buy salwar kameez online, you’re on the best fashion clothing portal in India as we bring for your something unique and classic in design. Our product ranges from chikankari salwar suits, to phulkari salwar suits, silk salwar kameez, pure cotton salwar kameez and much more. Come and be a part of this magnificent fashion journey and choose the best designer wear or ethnic wear that best describes you and complements your style quotient.